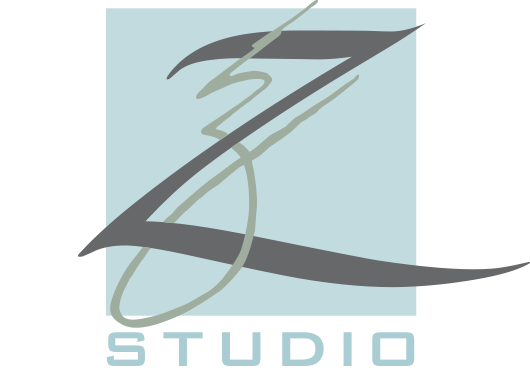 New to Z Studio or interested in trying a new service? 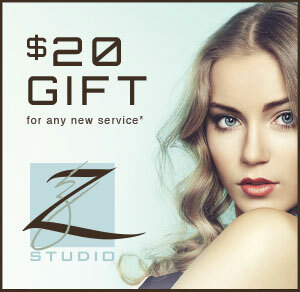 Download our $20 gift and book your appointment today!  Now offering $30 color services for new guests with an associate stylist on Wednesdays from 3pm – 9pm at our Brookside location. 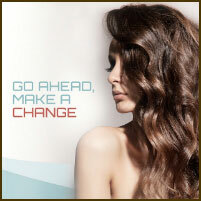 To book, call 918.743.5353. 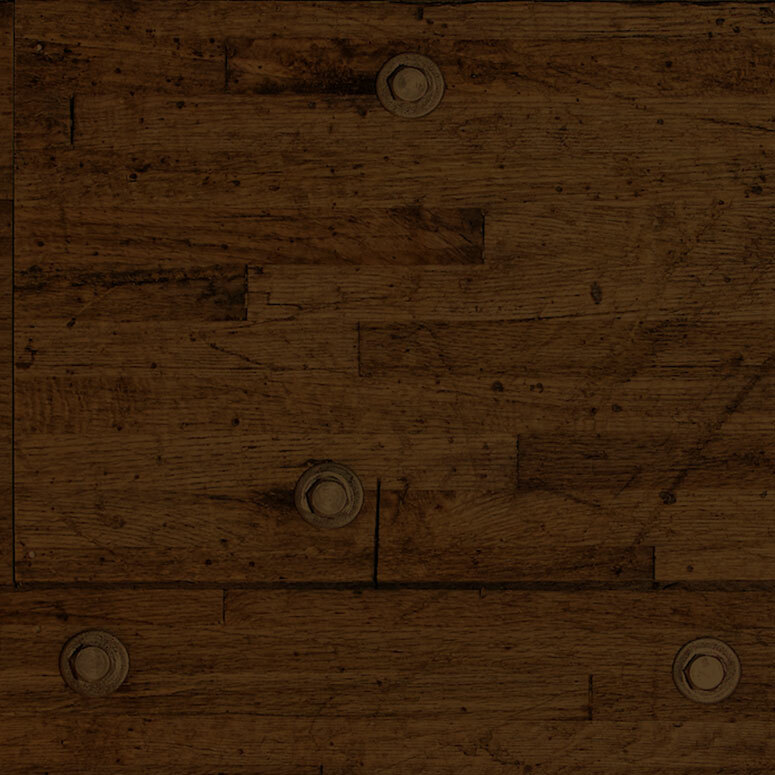 We love our guests and want more just like you! 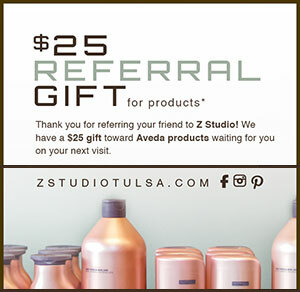 When you refer a friend to Z Studio, we’ll give you a $25 gift for products as our way of saying thanks. 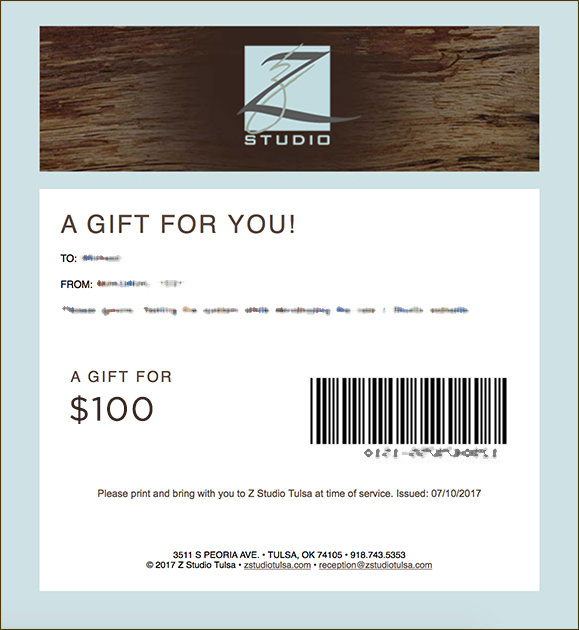 Because even when you treat yourself, we know everyone loves a good deal.